LDK has developed broad international experience in the energy sector, starting its energy consulting business in the '70s, following the international oil crisis and aiming to assist the development of energy efficiency and the use of alternative energy sources. References in the field include projects assigned by private investors, utilities, public bodies, and international funding organisations, such as the European Commission, EBRD, ΕΙΒ and the World Bank. LDK possesses extended knowledge and expertise in the energy sector, having implemented a number of technical assistance projects involving project identification, technical design, techno-economic evaluations and feasibility studies, pre-investment analysis, appraisals, detailed design, application, information services and technology transfer. 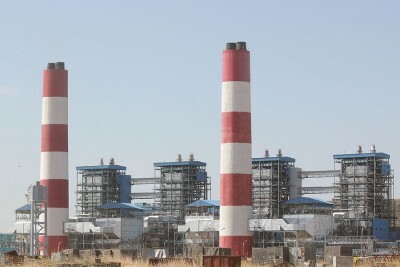 The group's energy engineers, economists and other specialist experts, offer comprehensive technical and economic consulting services on power generation, combined heat & power (CHP) and district heating, energy efficiency in industries and buildings, renewable energy sources, transmission & distribution networks; assisting investors in the whole project cycle, from running feasibility studies, evaluating investment opportunities and preparing investment plans, to technical studies, licensing, project management, and supervision. Along with the liberalisation of the energy markets in the EU member states and many other countries around the world, the importance of economics in the energy sector has become critical in ensuring investment and long term security of supply, optimal pricing of energy, provision of public service obligations, utilization of renewable energy sources and cogeneration, as well as considering the environmental costs and benefits of energy related activities. For more than two decades LDK has been continuously providing support related to the economics of the energy sector, ranging from the preparation of plans and strategies at the local, national and regional levels, the design of markets and market regulation, to assistance with the implementation of investment, including economic and financial analysis.